An hour city bus ride from our house in Isiklar (1st street lights in Antalya) is Perge, where the missionary Apostles converted the Greco-Roman citizens to Christianity. The Amazons were known as warriors who worshiped the moon. Because of this, two of there patron deities are Ares, god of war, and Artemis, goddess of war, and Cybele, goddess of the moon. … She was known to be fierce, warlike, and was also the goddess of the hunt and nature. 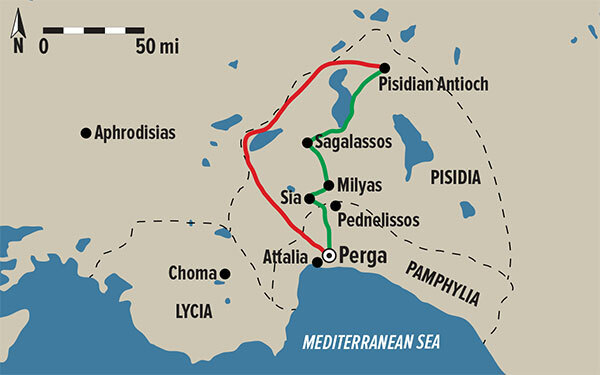 After sailing from Cyprus to the Turkish coast, Paul and Barnabas visit the city of Perga before traveling to Pisidian Antioch and other cities on the Anatolian interior. Perge gained renown for the worship of Artemis, whose temple stood on a hill outside the town, and in whose honor annual festivals were celebrated. The coins of Perge represent both the goddess and her temple. 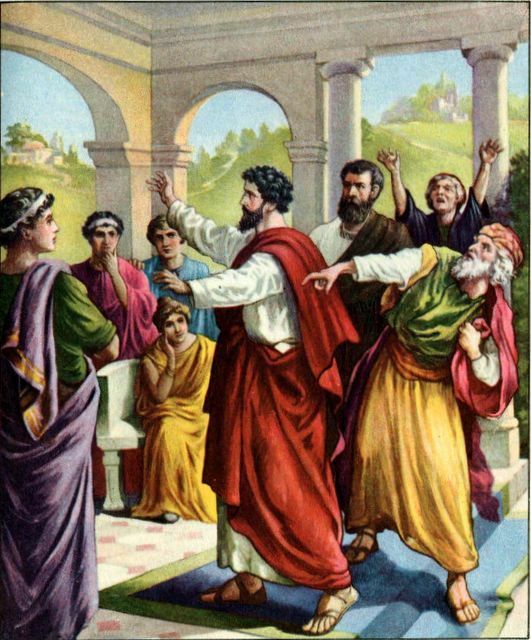 Barnabas born Joseph, was an early Christian, one of the prominent Christian disciples in Jerusalem. According to Acts 4:36, Barnabas was a Cypriot Jew. Named an apostle in Acts 14:14, he and Paul the Apostle undertook missionary journeys together and defended Gentile converts against the Judaizers. They traveled together making more converts (c. 45–47), and participated in the Council of Jerusalem (c. 50) Barnabas and Paul successfully evangelized among the “God-fearing” Gentiles who attended synagogues in various Hellenized cities of Anatolia. 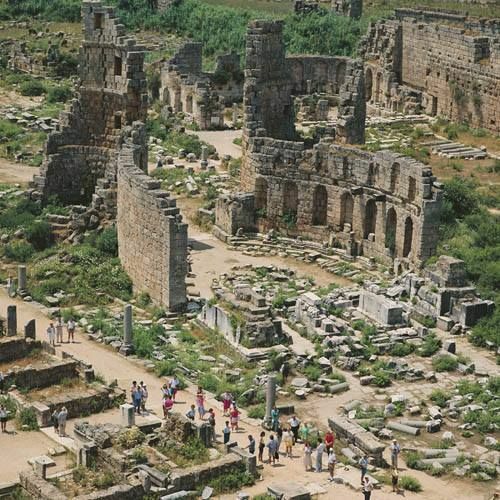 As the river Cestrus silted up over the late Roman era, Perge declined as a secular city. In the first half of the 4th century, during the reign of Constantine the Great(324-337), Perge became an important center of Christianity, which soon became the official religion of the Roman Empire. The city retained its status as a Christian center in the 5th and 6th centuries.